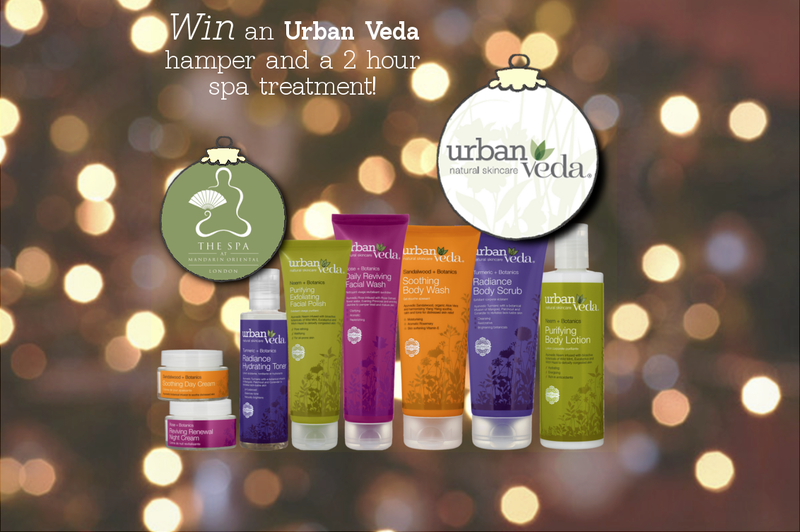 Four runners up will receive a full gift Urban Veda gift set for their skin type too. How’s that for luxury? So, want to know more about Urban Veda? They’re an award-winning British skincare brand, have four ranges for different skin complaints, and their remedies are naturally formulated based on Ayurvedic principles. Don’t forget to chose which suits your skintype, and you can find your order number in your last confirmation email from us. Prize Details: Winners Prize: 2 hour Oriental Harmony Signature Spa Treatment at the Mandarin Oriental London + 1 full gift set to suit skin type of customer. Age restriction for Spa Treatment: 18+. The closing date and time for entries into the prize draw is 23.59 on 28/12/2014. Entries placed after this date and time will not be included in the prize draw. To qualify, entrants must post their last order number in the comments below; this can be found on your receipt or e-receipt. The winners will be selected at random in the week commencing 29/12/2014. The winners of the prizes will be contacted within 5 days of the draw and will be given full details of how to redeem their prize. If the winner cannot be contacted or does not respond within 3 days, or cannot take up the prize, then Ocado reserves the right to select another winner. UrbanVeda 200ml in their preferred regime will be added to Favourites for all customers who enter. This entry was posted in Competitions and Prize Draws, Talking Ocado and tagged Ayurvedic principles, beauty, enter now, giveaway, health and beauty, Mandarin Oriental, Ocado, ocado.com, pampering, skincare, spa, spa treatments, Urban Veda, Win by Ocado. Bookmark the permalink. I’d love to win the purifying range – thanks, fingers crossed! Soothing. Order number 306221803 thank you! Radiance would be my first choice please, but they all sound great. Great competition. Thanks very much. I would love the radiance. Reviving would be bliss after a frenetic Christmas! What a great prize! Radiance please. The soothing collection would very much hit the spot at the moment! I’d really love to win the “Reviving”collection please, I think I need it lol. Thank you.